A number of new members joined the District in the New Year, with the Rotary Club of Halifax topping the list by admitting three new members on the same day! 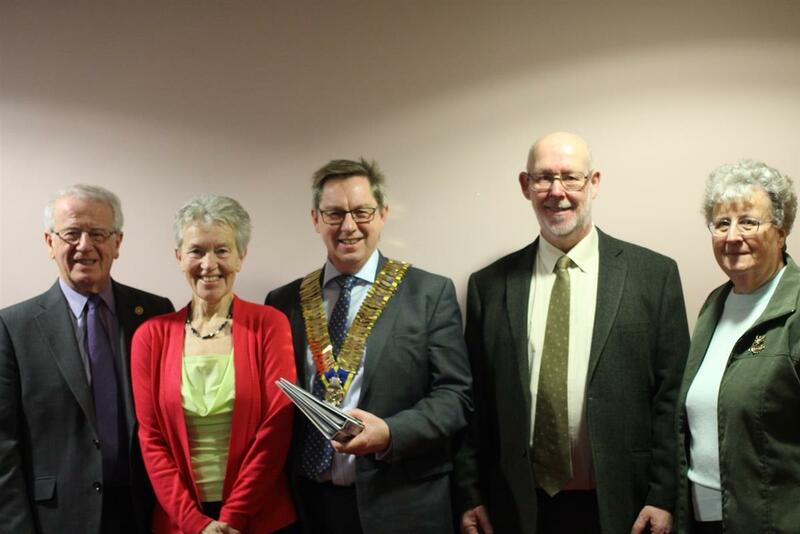 At its first meeting in the New Year, the Rotary Club of Halifax gained three new members. Introduced into the club by Rotarian Neil Crossley, shown on the far left of the picture, they are, from the left, Hazel Murgatroyd, Roger Teal and Sandra Dixey. Club President David Roper, in the centre, welcomed them into the club. All three new members, whilst all are very active in retirement, they are looking forward to being involved in the clubs activities in supporting not only local community initiatives, but also the wider international humanitarian aid programmes of Rotary International. 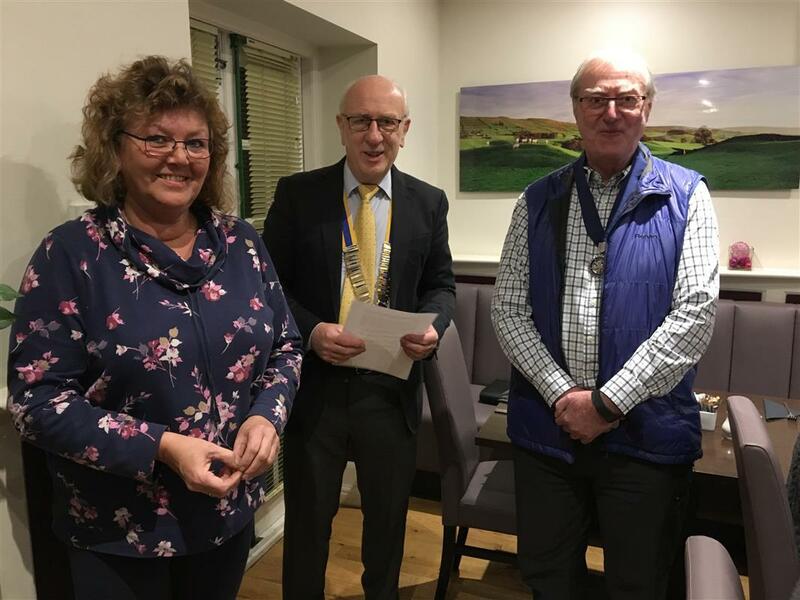 The Rotary Club of Wensleydale were equally delighted to welcome Susan Rogers as their fourth lady member at their first meeting of the New Year. Susan has just retired to the Dales and had always planned to join Rotary on retirement as her father had been a staunch Rotarian.